MySpace scared the hell out of users today by displaying a message that a given user's account way deleted. This was first reported by Drew Olanoff on his blog. Drew is one of the hosts from the Best Damn Tech Show, Period. One of my favorite podcasts/videocasts. This also made the front page of Digg. Updates from MySpace claim they weren't really deleted user accounts despite what the error message was, they were only moving servers around. What they hell are those guys doing? We had a power outage? We spilled coffee in our data center. Tom forgot to pay the electric bill. Are you kidding me? They have 96m users (even though 50% of those are spammers, child molesters, etc. ), but don't have data center redundancy? They don't know how to do data replication so maintenance tasks don't result in the service not being available. What a joke. How do users navigate to a site? How does this change depending of the time elapsed between visits? How often to users click on links below the 'fold'? Below is a screenshot of some user eye tracking that was part of the overall study. Netvibes has integrated Meebo into their Ajax homepage service. 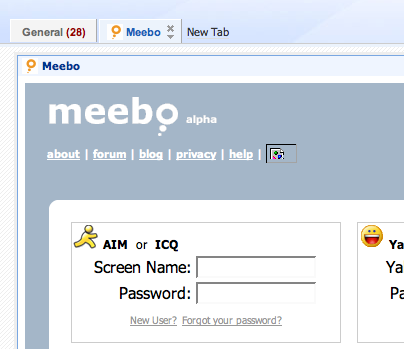 The Meebo widget lets you chat on all the major IM systems (AIM, ICQ, MSN, Yahoo, etc.) from your Netvibes homepage. The widget is displayed under a tab that notifies the user when a new IM message is received. Meebo has enjoyed strong user adoption, partially due to schools blocking client side IM applications, among the Gen Y crowd. I also know several former co-workers at Amazon who use it because Amazon, like many corporations, prevents users from downloading and installing client IM applications. This is a smart move on the part of Netvibes. It helps them tap into Meebo's much larger userbase. For Meebo, this gives them exposure to people outside their core Gen Y audience (e.g. tech savvy early adopters). Although the Dead 2.0 site correctly points out that most browsers (with the launch of IE7) support tabbed browsing and questioned the need for this. We're giving away a free iPod nano as part of our "You Don't Need One, But You Know You Want One" contest. The idea is simple. Help spread the word that an iPod (or any device) is not required to listen to or watch podcasts. You can watch them online from a web site. The more friends you tell, the greater your chance of winning. My good friend, Kelly Smith, has launched ImageKind today. 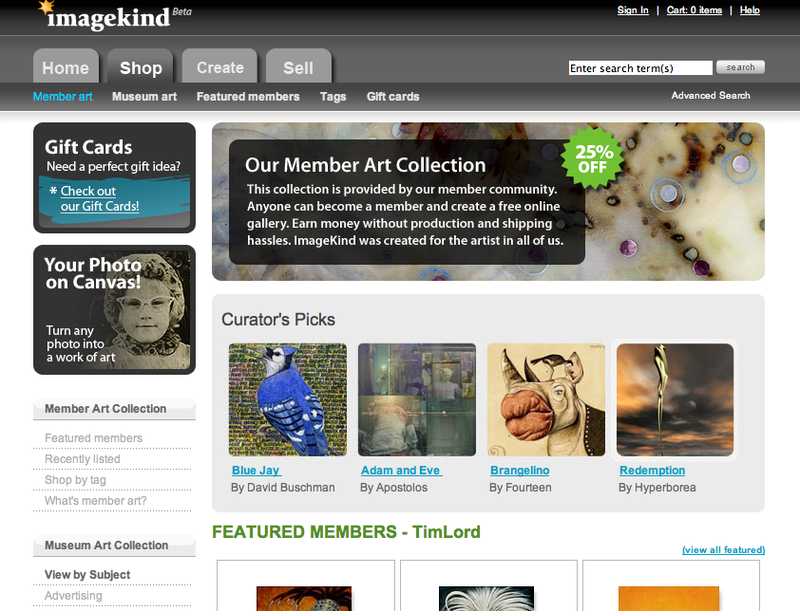 ImageKind is a service for creating, buying, and selling wall art. If you are looking for something nice to frame and put on your wall and you can't afford expensive original art, then I'd suggest you check out ImageKind. 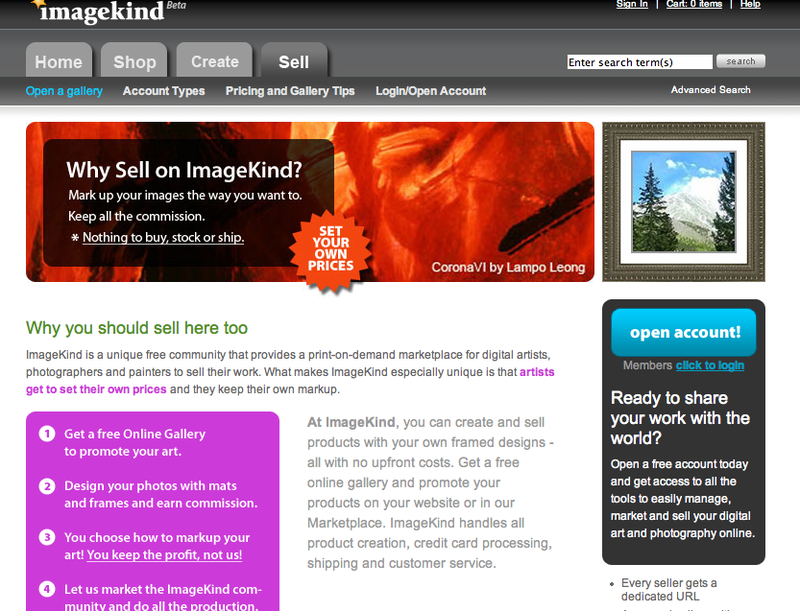 If you are an artist, or think you can be, you may want to look at ImageKind as an outlet for your work. ImageKind is the first company incubated by Curious Office Partners. I've gotten to know Kelly Smith over the last few months and he is one of my favorite people in the Seattle tech community. He and the rest of the ImageKind team has done a wonderful job with this site. The Google reality check continues to gain steam. The New York Times recently published an article title, "In the Race With Google, It's Consistency vs. 'Wow'," comparing Google's product development approach with Yahoo's product development approach. The article points out that Google's approach is to throw out something with some sizzle and watch most of it fizzle hoping every once it a while they will get luckly and repeat their initial search engine success. This story is beginning to get traction with some of the blogosphere's heavy hitters. Mike Arrington on TechCrunch recently posted on this topic, and suggested, "they roll some heads and figure out a real product strategy." GigaOm has received some clarification from ComScore that indicates only 44,000 people out of the 1,000,000 who have downloaded GTalk use it. I think it is fair to point out that Gtalk also has an Ajax web client built into Gmail. Of course, Gmail doesn't have that many users either, so it probably doesn't matter much.